Ever wanted to explore Europe in your dream car on a classic car tour holiday? 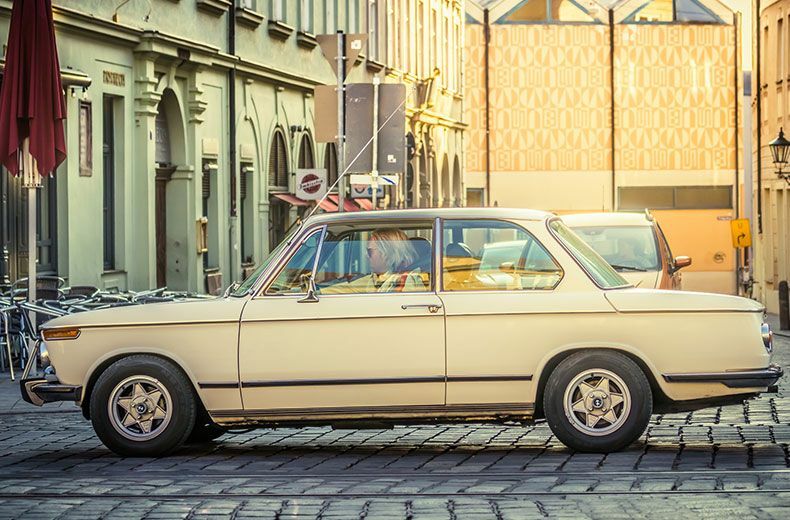 With more companies offering classic car hire and bespoke tours around some of Europe’s premier tourist destinations, there are plenty of amazing options out there. Most of us will never get to own a classic car. But hiring one is the next best thing. 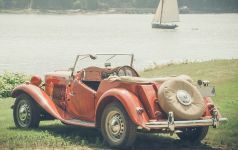 Branching out from the wedding hire market, more companies are starting to offer classic car tours and self-drive hire around Europe, giving us all the chance to drive our dream classic cars in new and exciting locations. From inventive, private tours in historic European cities to top-down, wind-in-your-hair self-drive cruises through the countryside, here’s our guide to the best European driving holidays with a classic twist. 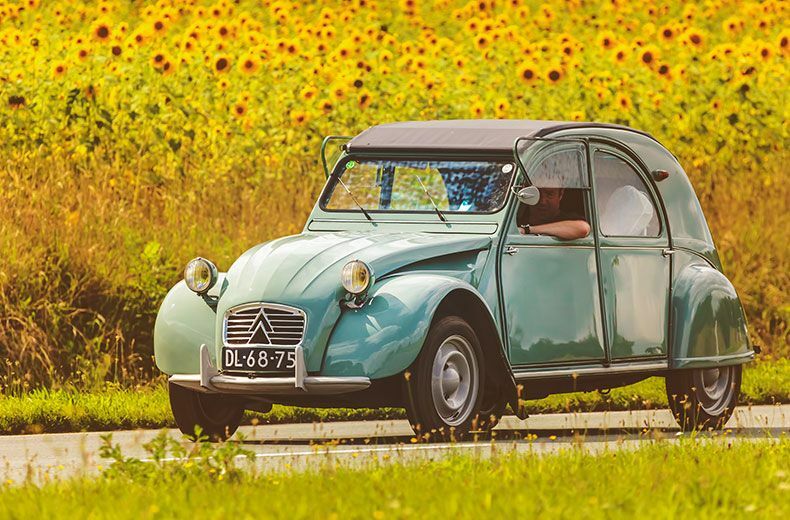 Is there a car more classically French than the Citroen 2CV? What better way to tour the sights of the city of love! Sit back, take the top down, get those chic sunnies out and let a local guide drive you around the one of the world’s cultural capitals. With day and night time tours available through Viator, you can explore the neighbourhoods of Montmartre and the Latin Quarter from a new perspective, stopping at jaw-dropping attractions like the Eiffel Tower, the Louvre and Notre Dame. It’s one of the best ways to see some of Paris’ most famous landmarks - just make sure you keep your camera at the ready. 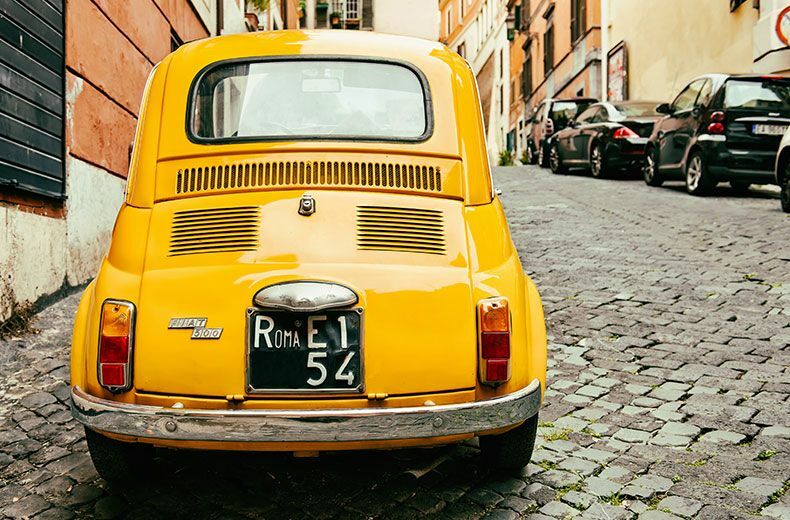 Imagine you’re the elegant movie star in a classic Italian film, stepping out onto the cobbled streets of the Eternal City from the effortlessly elegante classic Fiat 500. You can zip through Rome’s narrow historic streets, visiting ancient wonders like the Coliseum, Roman Forum and the Altar of the Fatherland, amongst other lesser-known gems. For a unique driving experience you’ll never forget, get behind the wheel of an iconic Hot Rod to explore Austria’s historic capital. Helmet on, you’ll spend a couple of exhilarating hours driving through Vienna’s wide, historic streets, with an audio guide pointing out key attractions like the stunning Schönbrunn Palace and the Vienna Opera House as you pass. This classic Italian sporty number, made famous in ‘The Graduate’, is the perfect hire car for a jaunt around Tuscany’s terracotta-roofed capital, renowned for its Renaissance art and architecture. For a real taste of ‘la dolce vita’ drive out into the Tuscan countryside. Cruise on quiet cypress-lined roads, past picture-perfect rolling hills and seemingly endless vineyards that claw out to the horizon. With self-drive hiring available from outfits like Slow Drive vintage rental, the best part is you can take your time and follow your nose. Find a charming little piazza for your morning cappuccino, or take your time over a leisurely, indulgent Italian lunch and a cheeky glass of vino. While you’re in the area it would be rude not to go for a drive along part of the route of the iconic Mille Miglia, the famous 1,000 mile Gran Turismo figure of eight race that ran from 1927-1957. From Florence you could hire a classic Alfa and drive along the Mille Miglia route down through the Chianti wine growing region, to the UNESCO world heritage city of Siena. Or you could head north to the university town of Bologna, and pay a visit to the Ferrari and Lamborghini museums. If you’ve got the time and are looking for a longer adventure, Scenic Car Tours offer a 10-day classic car tour along the entire Mille Miglia route, which includes accommodation and activities along the way. The South West region of France is ideal for classic car touring, with miles of quiet, picturesque roads meandering through vineyards, sunflower groves and fields of lavender. Then there’s the stunning coastline of the Cote d’Azur, with its glamorous beach resorts of Cannes and St Tropez, and the glitzy harbour and upscale casinos of Monaco. Cross Channel Sports Cars, run by former racing driver Andy Sayle, offers weekend and week-long hire of classic cars like the Morgan, the quintessentially British sports car, in southern France. He can help with booking accommodation and arranging bespoke tours, or if you’re feeling adventurous you can just head out onto the open road and find your own route. 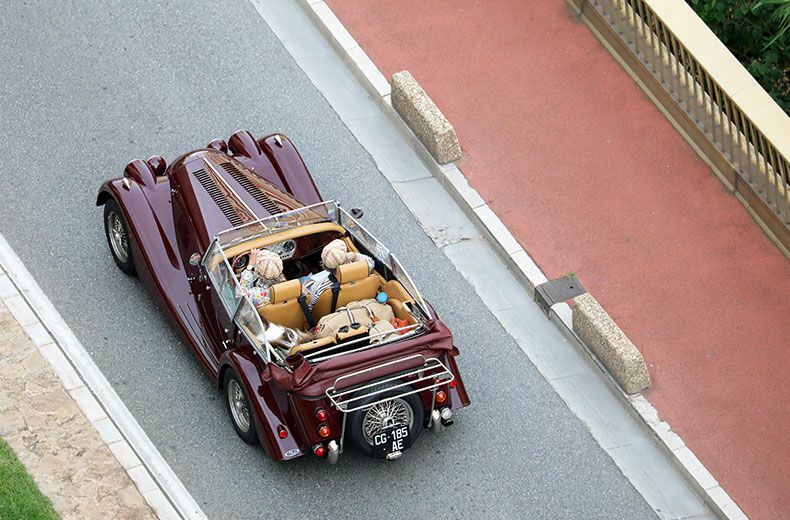 There’s so much to explore in this area beside the French Riviera from the snug, leather seats of your Morgan. Cultural gems like Avignon and Carcassonne are a few hours’ drive away and the Pyrenees are within grasp. On a week-long hire you could explore further afield, cruising through the Dordogne and Bordeaux regions on a drive from the Med to the Atlantic. Can you imagine winding up to the top of breathtaking mountain passes in a stylish classic BMW? Colcorsa offer classic car tours from the Bavarian capital Munich – the birthplace of the BMW – into the Austrian Alps on exhilarating roads like the Grossglockner Mountain Road, passing turquoise alpine lakes and picturesque small towns like the UNESCO World Heritage Site of HallStatt. With your accommodation included at some of the most exclusive spa resorts in the Austrian Alps and the route taken care of, you can get settled in the driving seat to enjoy your luxurious mountain escape. 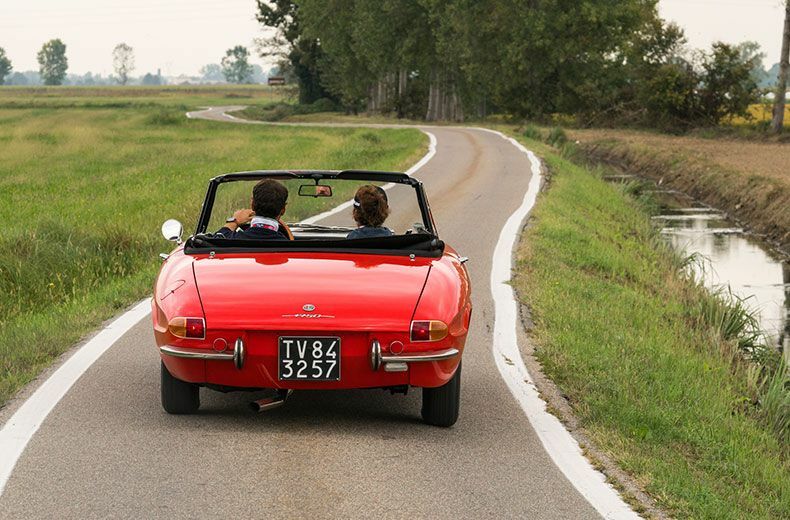 When you book your dream European classic car tour holiday – or if you feel inspired to take your own European road trip – don’t forget to make sure you’re covered. RAC offers comprehensive European Breakdown Cover with the security of roadside assistance so you can enjoy peace of mind and get on with enjoying your adventure. Get a quote now. Find up-to-date driving laws and advice for any country in Europe before you visit.